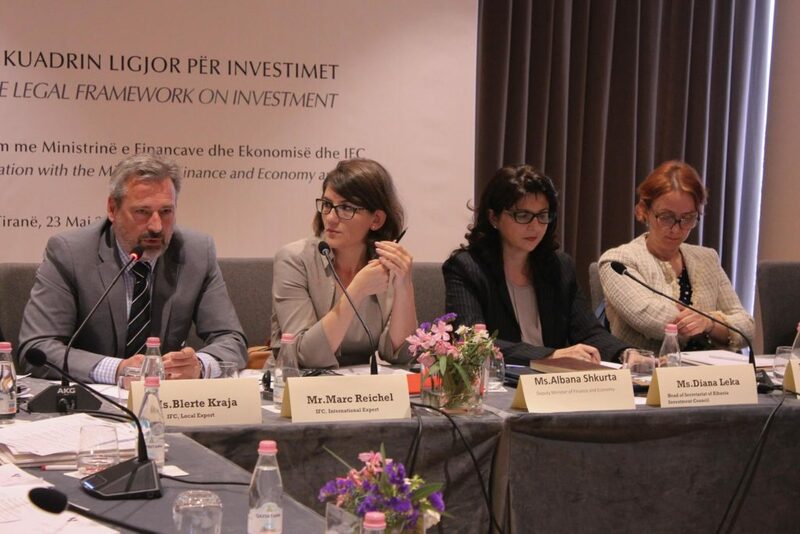 On Wednesday, Albania Investment Council in collaboration with the Ministry of Finance and Economy and International Finance Corporation (IFC) organized a discussion table on the legal framework for investment in Albania. The meeting was attended by around 60 participants representing foreign and local business associations such as AmCham, Italian Chamber of Commerce, ATTSO, DIHA, ICE, FIAA, Advantage Austria, ACERC, AITA, Nordic Association Albania, CCI Tirana, UCCIAL, BTSH, etc., local and foreign companies such as Vodafone Albania, Bankers Petroleum, ABCom, Forscher, Alpha Bank, Antea Cement, Balfin Group, TAP, Shell, Colliers, etc., as well as legal and tax consulting firms such as Boga & Associates, HMH, Mazars, Baker Tilly, Kalo & Associates, Optima, AA+ etc. The meeting was opened by Head of Investment Council Secretariat, Ms Diana Leka, with a short welcoming message to the participants. She underlined the importance of prior notification and consultation of laws and regulations as one of the main concerns identified by the business community and endorsed by the IC through its respective recommendations. 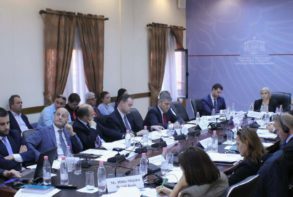 In addition, Ms Leka made a brief note on the involvement of the Investment Council in the discussion process related to the investment legal framework in the country in the light also of the trends and initiatives in the region, and in facilitating the dialogue among the stakeholders. 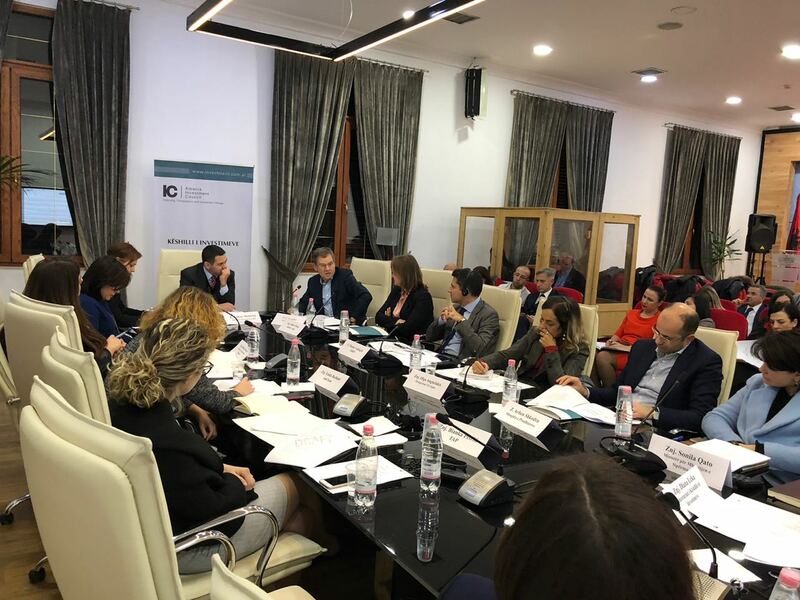 Afterwards, Deputy Minister of Finance and Economy, Ms Albana Shkurta delivered a brief presentation on the context and process for a unified law on investment, based in particular on Albania’s ranking in the UNCTAD Report ‘Investment Policy Review’ (2017). 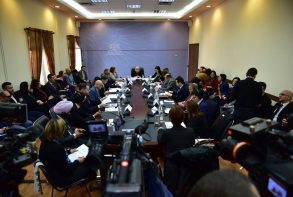 Raised comments, concerns and findings on the investment legal framework during this meeting would be noted by experts of the IFC (which attains a wide range of expertise in matters related to investment legislation) for further consideration in screening the current legislation. 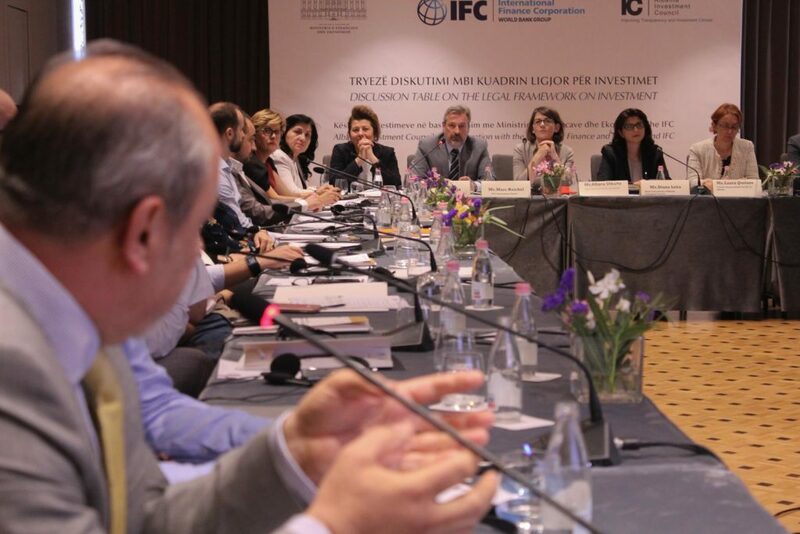 IFC Representative in Albania, Ms Laura Qorlaze, explained IFC contribution for enhancement of the investment climate in Albania. 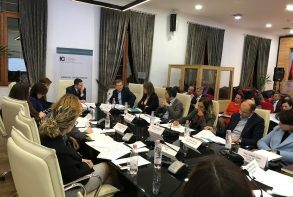 “This roundtable discussion with representatives from various groups of the business community, will serve to discuss the gaps and shortcomings of the existing legal framework on investment and the necessity to fill in the gaps and unify the existing pieces of legislation into a streamlined and comprehensive one to duly respond to the needs for increased growth in Albania,” said Ms Qorlaze. Mr Mark Reichel, IFC expert, delivered a presentation on the ‘Best international practices and challenges for a contemporary legal framework on investments.’ Following his presentation, the discussion floor was left to participants for comments and suggestions related to a) the improvement of the legislation on investments, b) the right approach to be followed by institutions toward local and foreign investors, c) incentives, d) Investors Grievance Mechanisms (IGM), e) priority sectors, and f) other relevant issues. The participants considered the role of the state IGM as quite important in resolving investors’ complaints in the early stage but underlined the necessity that such mechanism should not overlap with the administrative appeal structures that currently exist. Additionally, it was stressed out the need for clear and thorough rules and procedures for a successful IGM. Relevant interventions were provided also by Ms Alketa Knuti, Adviser to the Minister of State for the Protection of Entrepreneurship (MSPE). 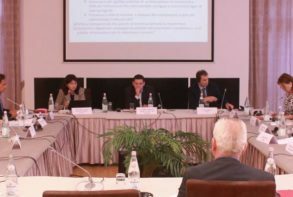 Ms Knuti brought the example of the MSPE as a state IGM while acting as an intermediary institution between the business and public administration. 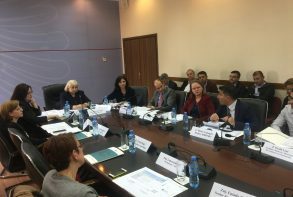 Ms Knuti underlined that sustainable resolution of the business complaints would require legal amendments which clearly state the instruments on the basis of which the public administration can self-correct its actions and/or omissions. 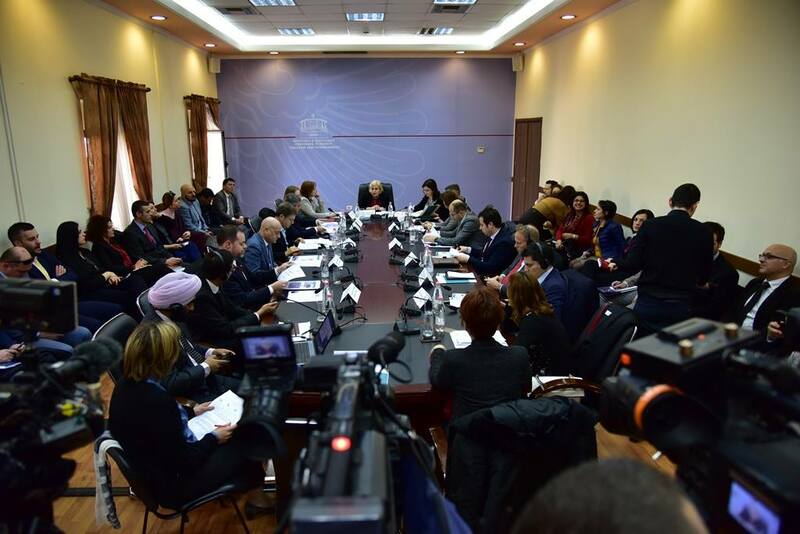 In conclusion, the updated legal framework on investment should reflect the latest investment principles to guarantee the protection of both new and existing investors, but the most important part remains the will and commitment to implement the law. 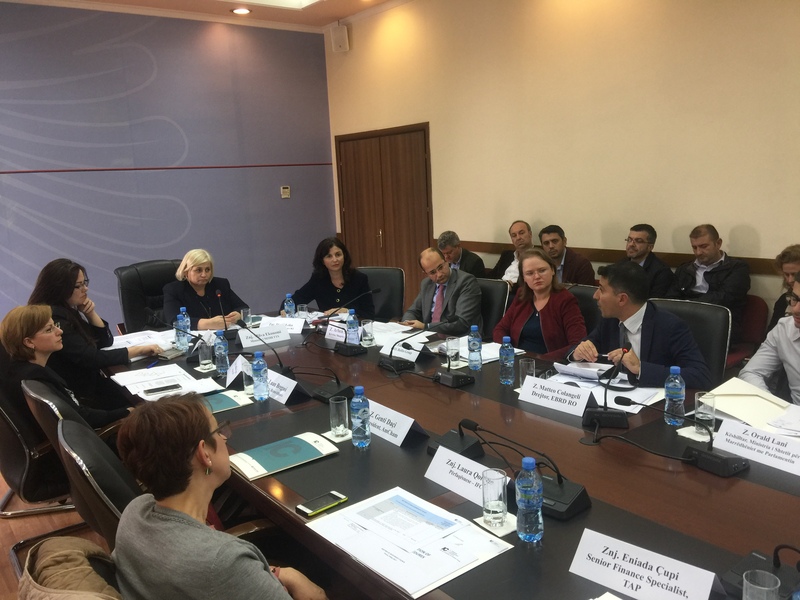 Ms Albana Shkurta thanked the participants for their valuable contribution and informed that additional comments may be sent to the IC Secretariat. Note: A summary of comments discussed in this discussion table will be presented with other working materials in the upcoming IC meeting (June 2018) and published on IC website following this meeting.